KULUNDA - Nachhaltiges Landmanagement | How to prevent the next Global Dust Bowl? KULUNDA - How to prevent the next »Global Dust Bowl«? The interdisciplinary KULUNDA project is a part of the BMBF research program, ‘Sustainable Land Management’, Module A1 ‘Interaction between land management, climate change and ecosystem services’. Universities of Halle-Wittenberg, Jena, Hannover und Göttingen, Helmholtz Center for Environmental Research (UFZ), Leibniz-Institute of Agricultural Development in Central and Eastern Europe (IAMO), Leibniz-Institute for Regional Geography (IfL), Potsdam Institute for Climate Change Impact Research (PIK) as well as Senckenberg Community for Natural Research and a medium size agar-technology enterprise Amazonen-Werke H.Dreyer GmbH & Co. KG. The director of the project is Prof.Dr.Dr.h.c. Manfred Frühauf (Martin-Luther –University Halle-Wittenberg, Faculty of Natural Sciences III, Institute for Geosciences and Geography). The main goal of the interdisciplinary KULUNDA project is to mitigate degradation and desertification process, to stabilize and in the long run, to enhance carbon sequestration in soils. It as well aims to increase crop yield by development and implementation of sustainable land management practices for agricultural used areas and by that to contribute to the rural and regional development. The gained knowledge and the results of the KULUNDA project will largely contribute to the research on climate change, sustainable land management and rural and regional development. The KULUNDA project unifies the knowledge of 16 partners from German universities, research facilities, and small to medium size enterprises in eleven subprojects. The research work is divided into nine research subprojects, one subproject for scientific coordination and one subproject for the initiation of implementation project. 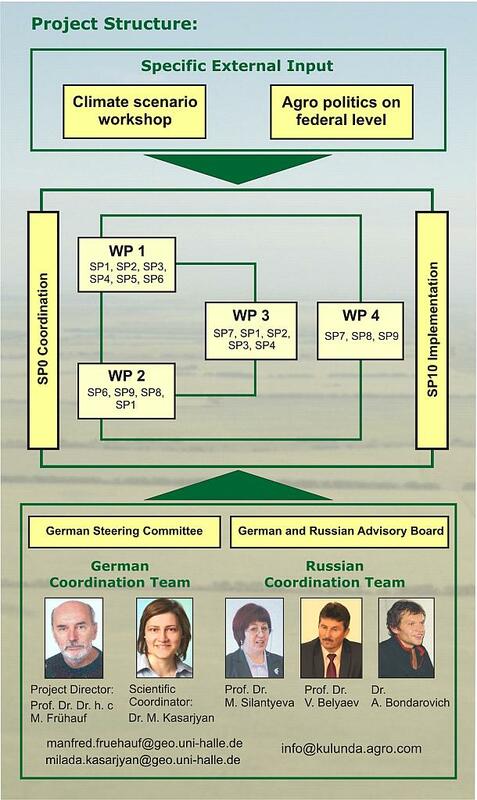 German and Russian scientists form research tenders in each of the subproject. Development and implementation of stakeholder driven planning and consulting platform which allows the application of sustainable land use strategies. Zweiter Platz beim Zukunftspreis Mittelstand "Neue Seidenstraße"
Наука Международный проект «Кулунда» развеял ряд стереотипов. Степь под микроскопом. Using the Innovative Lysimeter Technology in the German-Russian Research Project "Kulunda". 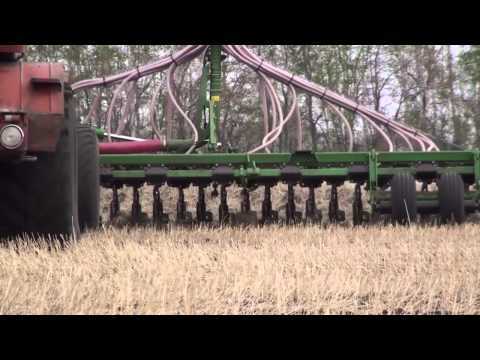 Modern Cropping Systems and Technologies for Soil Conservation in Siberian Agriculture.